The production of foam recycled granules must go through several production process steps. The basic steps must be clearly understood. A standard foam granulation line includes foam pulverizer, air transport equipment, extruder, heating equipment, and cold-going facilities. , pelletizers, etc. contributed. Every process is essential. The foam granulator must be evenly mixed and filled. 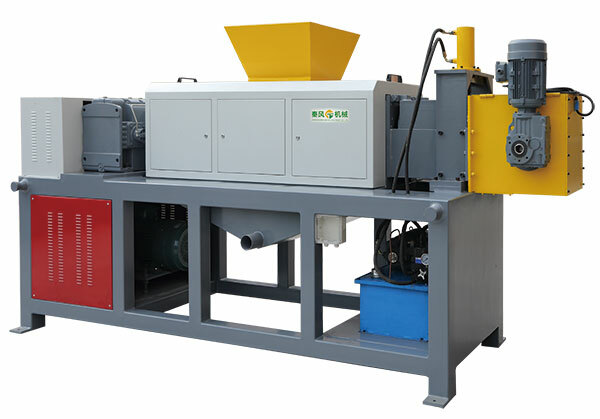 The feeding speed of the foam granulator should be matched with the feeding speed. Otherwise it will affect the quality and yield of the particles. Before starting the machine, first warm up for about thirty minutes. Raise the temperature to the motorized V-belt until it is free; pull it continuously eight to ten times according to the normal working direction. Then continue to heat up for about ten minutes, and then start up, but continue to warm, because normal production needs to continue to replenish heat; adjust the temperature according to different properties of plastic. When the foam granulator is working normally, the machine temperature should be stable and should not be high or low. Near the venting hole, the temperature of the head should be kept at about 200 °C. When the foam granulator is shut down, the main unit must completely cut off the power. The foam granulator head plug (with wrench part) must be removed. Warm up separately before the next use. We believe that according to the production steps of the foam granulator, your production safety and product quality can be guaranteed. Previous: How does the Foam Granulator Automatically Change the Net?